Plan your week with this Passion Planner Pro Weekly Kit! 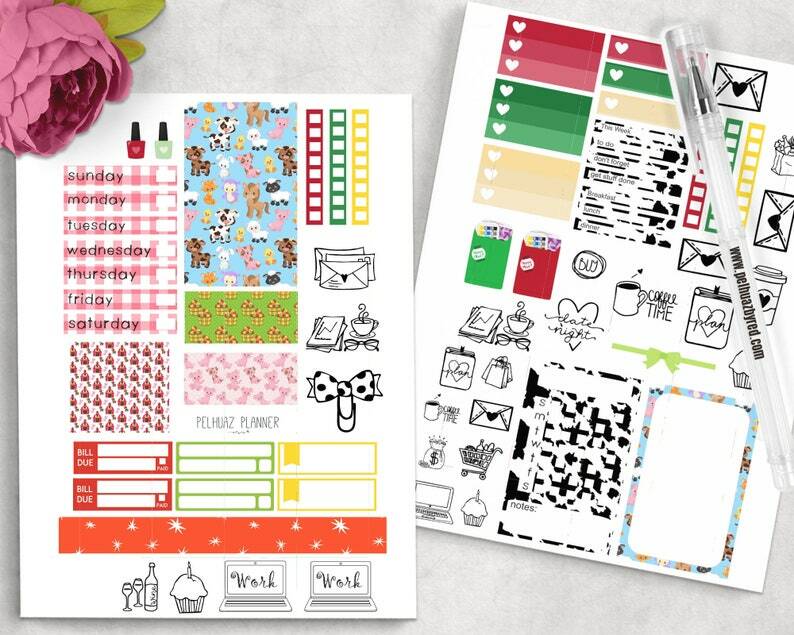 + A Weekly Sticker Kit sized for the PASSION PLANNER PRO. + Choice of high-quality photo glossy or matte paper. All items are printed and cut to order. Please allow 3 - 5 days to prepare your order before shipping. Some of the images used in this are from digikika. Planifica tu semana con estas hermosas calcomanías creadas con la agenda Passion Planner Pro en mente. Nota que todos nuestros productos son creados al momento de la orden. Favor de permitirnos de 3 a 5 días para preparar su orden antes de ser enviada por correo. Algunas de las imágenes utilizadas en este diseño son de la creación de digikika. We do ship to international destinations outside the US or US Territories. Please contact us with your postal address to validate how much your INTL Shipping might cost. Items can be wrap and sent to a different address. No prob with that. Just leave a note when checking out!